Bissell Style 7 Vacuum Bags are designed for multiple Bissell upright vacuum cleaners, including the PowerForce 3522 Series, PowerGlide 3545 Series, Bissell Plus 3550 Series and Bissell Lift-Off 3554 Series vacuum cleaners. 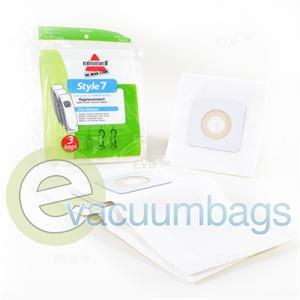 These bags have a sturdy cardboard mount and self sealing ring for easy replacing. 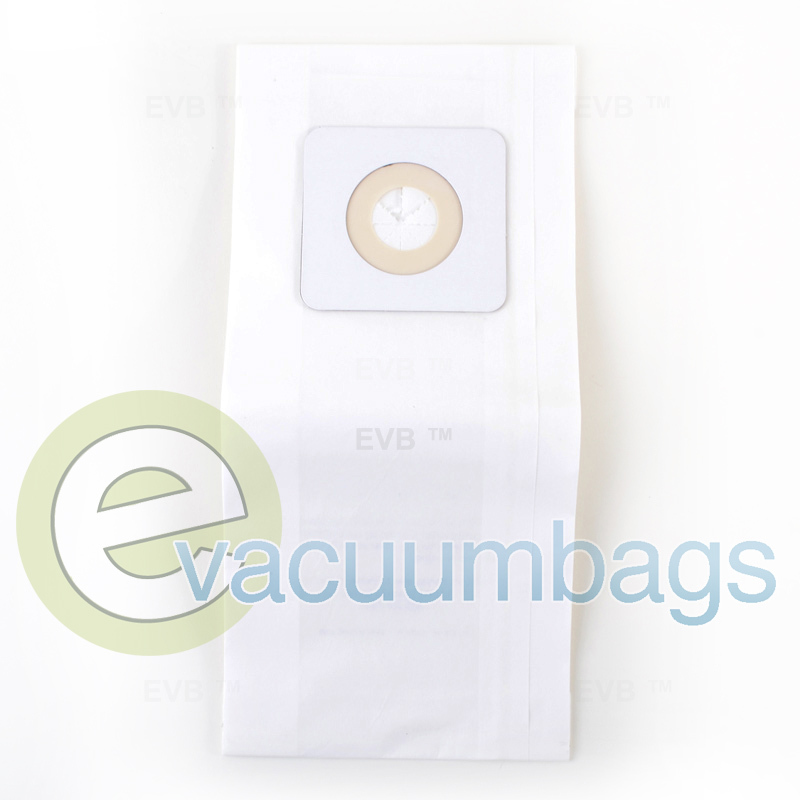 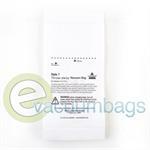 For best cleaning performance, bags should be changed when about 1/2 to 2/3 full. 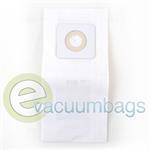 This allows better air circulation in the bag which traps more dust particles. 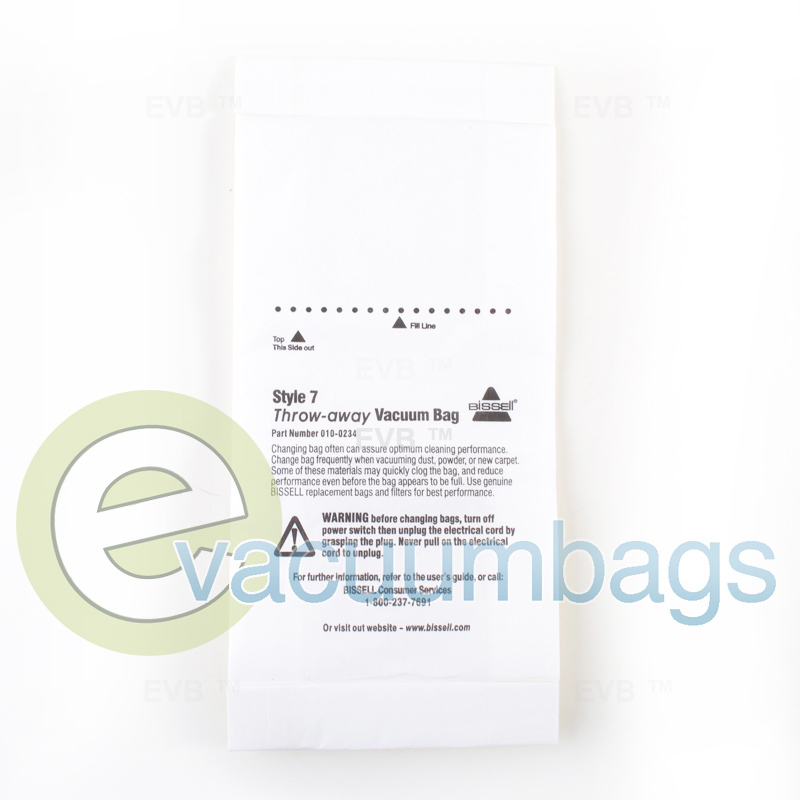 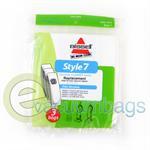 Package contains 3 Bissell Style 7 vacuum bags.